Oh my goodness – I’m so sorry I’m finding it difficult to stick to my posting schedule! I’m not sure what it is at the moment, because for the first time in 3 years I’ve actually got some time up my sleeves on the weekend because I’m not having to do the second-half of all my planning. Maybe it’s because I’m just so relaxed and chilled out? Okay, so today is probably more a combination of my Five for Friday and Sunday Showcase posting ideas, but it’s definitely Sunday (not Friday) and I thought I’d just show you a sneak peek of some of the things I’ve been up to in the last few weeks, both teaching and non-teaching related! I tidied my little workspace. It may not seem like much, but trust me, it is! During the first week of school we had a chat as a class about our school values (Care, Respect, Cooperation and Integrity). I think the kiddos did a wonderful job identifying what it means to show respect to others! I bought these cute hearts on strings when I was in Toronto from Dollarama. So glad I did – they were a big hit with the kiddos on Friday for our ‘Love Day’. We made Love Bugs (which are not 100% finished just yet, but will be soon) and read There Was an Old Lady Who Swallowed a Rose and Love, Splat and had a magnificent day. My Valentine’s themed planner pages for last week. It was a lot of fun to work with blues and pinks. The little laminated card was made from a print that you can download from Studio Calico. I am determined – DETERMINED, I say! – to get into the swing of Project Life this year. I think I’ve found the perfect way, by combining a self-paced photography challenge I’m doing from A Beautiful Mess with PL to document my life. I attempted to make my very first card using stamps and watercolours. It’s not perfect, but everyone’s gotta start somewhere, right? And my most recent obsession has been making bead necklaces. I just want to keep making more and more (but honestly, I’ve got about 10 hanging on my wall the moment – what am I going to do with them all?!!). So that’s a bit of what I’ve been up to. I’d love to know what you’ve been doing. Leave a comment and let me know so I can catch up with all my wonderful online friends! TpT Product Updates & Sunday Showcase! I hope everyone is having a wonderful Easter weekend, surrounded by friends and family! I’m enjoying the beginning of our term break by not doing very much at all! It’s very quiet and peaceful at my house and I’m loving every minute of it. So far I’ve continued the redesign of my blog (it’s very slow going! 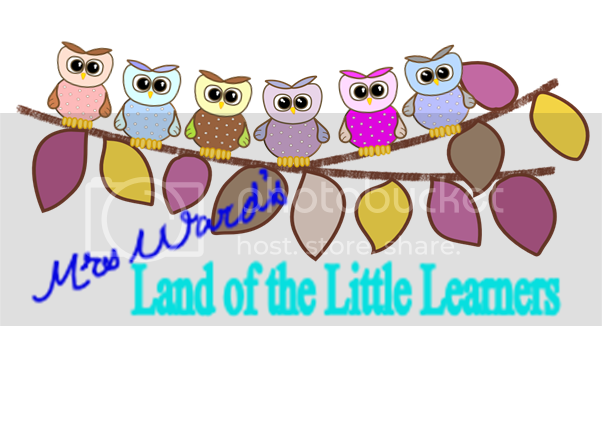 ), updated a Freebie and a new TpT product. So I’m going to share them with you now! And my newest paid product – An A-Z of Silly Sentences 2. Last year I posted my pack Silly Sentence Sorts and it’s been one of my more popular packs on TpT and TN. 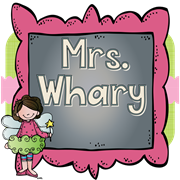 Thanks to the gorgeous clipart from Mel at Graphics from the Pond, I’ve created a second pack, perfect for Prep/Kindergarten students, reinforcing early reading and writing concepts. Simple and easy to use – all you do is print and copy for your students. 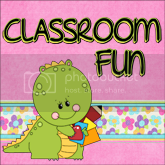 All your students need are: scissors, glue, pencils/crayons for some fun reading, sorting, writing and colouring/illustrating fun! This gives you multiple options for differentiating the task for your students. Best of all, it’s on SALE with the rest of my store until the end of the 1st of April! Click here to view An A-Z of Silly Sentences 2! I have 3 great freebie finds for you today – just click on the links to visit their creators’ TpT stores or blogs to download! I’ve had a blissfully uneventful weekend, with lots of Easter activities being printed/laminated/cut into pieces, plus a little bit of a blog facelift (more work still to be done, but I’m taking baby steps here!). As it draws to a close (ahh… Sundays, why do you come around so quickly? ), I’m enjoying a strawberry & lime cider (yum!) and watching Leverage. Ah, how I love Leverage! Watching my favourite episode so far – The Girls’ Night Out Job. As I do that, though, I’ll start what I hope to be a new weekly post – The Sunday Showcase. The Sunday Showcase will feature great free items that I find throughout the week. I hope that some of them will be new to you – and that you find some fantastic new material. If you have a fantastic freebie that you’d like me to feature, feel free to leave a comment and I’ll be sure to add in the following week! I mentioned this earlier this month when my class were making Pink Penguins while celebrating the letter ‘p’. Sarah Cooley’s (of First Grader… at Last!) craftivity is a fun addition to any unit or lesson using Lynn Rickard’s book Pink – teaching us that being different is ok. This craft is super-cute and super-easy. 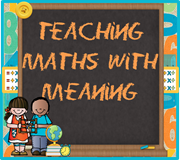 Click on the image above to download this great freebie from TeachersPayTeachers! 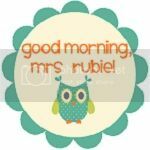 I love this freebie – because it’s something I already do with my kiddos… but in a much cuter format (thanks Bubbly Blonde Teacher)! This great for when students are reflecting on their progress and identifying future goals. This is a fabulous little freebie from Jamie Skrip! This year I’ve completely fallen in love with brain breaks (mostly because I have a few little kiddos who really need them). Lots of fun ideas in here! If you do download any of these freebies, remember to leave some feedback for their creators – everyone loves feedback! For everyone going back to work tomorrow (my Southern Hemisphere friends) – have a great week! For all my Northern Hemisphere friends, enjoy the remainder of your weekend!